If you are not Steve Wozniak or David Bowie—to name a couple of random exceptional geniuses—chances are that you are pretty mediocre, just like everyone else in the planet. But that doesn't mean that you can't be highly effective and successful in life. 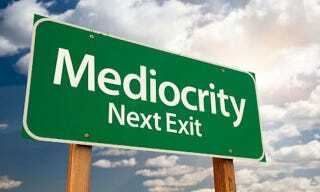 Here are seven habits that will turn your mediocrity in success. Ish.